The Motiv POD Cartridge is specially designed for the WISMEC Motiv POD Kit. It comes with a 4ml e-juice capacity and convenient side filling system. The Motiv POD Cartridge is specially designed for the WISMEC Motiv POD Kit. 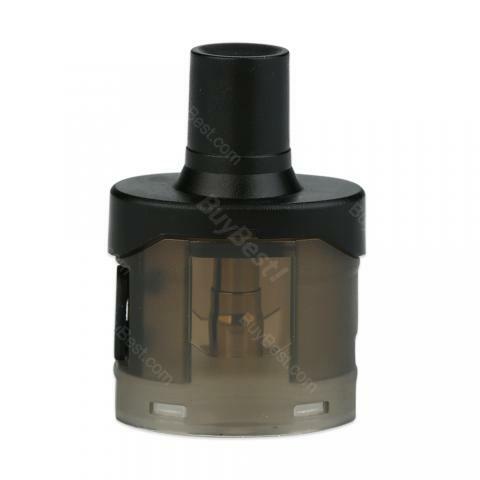 It's a 4ml replaceable and refillable cartridge at affordable price. Featuring an innovative side filling system, the WISMEC Motiv POD Cartridge allows for a quick juice refilling with no leaking. The transparent tank is convenient for you to check juice level at any time. Paired with the Motiv POD, it's a decent vape pod for your daily use. Get one extra as a backup. • It's for Motiv POD only. Die Verpackung des ganzen ist wohl durchdacht und das Design edel und wertig. WISMEC Motiv POD Cartridge ist ein gut Produckt.